I signed up for the Knit a Block a Week challenge using the book 200 Knitted Blocks. 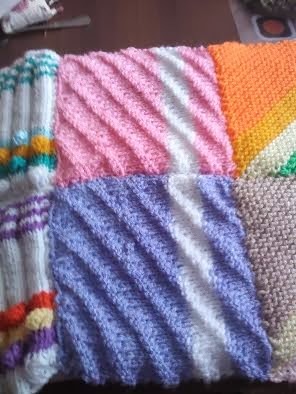 I wanted to make a blanket that would be colourful and have some structure to it, I found the blanket on page 24 and decided to make it. So I have made a start and so far have two rows made up. I am sewing each square together as I go then each row that way it is less daunting than having to sew all the squares together at the end. 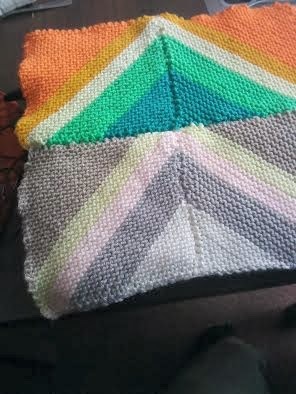 I am making the squares in different colours using the yarn that I have but keeping the continuity of the pattern. 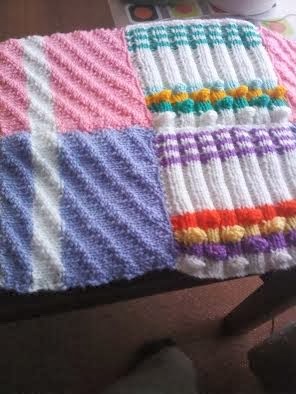 I will be making all the same squares and keeping to the same colours throughout just in a different order. I have more of some colours than others and I do not want to buy in yarn so will mix and match as I go.